A fishing club in Northern Ireland apparently refurbished a former lifeboat to make it habitable for tourists. The houseboats featured three bedrooms (with six total beds), Jacuzzi, sauna and an indoor fireplace. Anyone who rents the houseboat is granted free membership to the fishing club – though the membership only covers the length of stay and expires after checkout. Guests can rent the houseboat for $74 per night, according to the AirBnB listing. The listing does not make clear where the houseboat is located, though its hosts are based in Coalisland, North Ireland, which is about 40 miles west of Belfast. 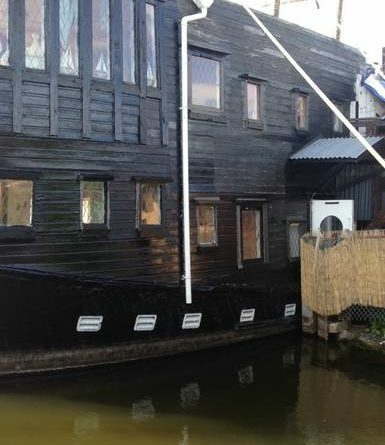 Belfast Live described the houseboat as a “pirate ship.” The boat, however, was apparently part of a fleet of rescue vessels commissioned by the Royal National Life-Boat Institution. RNLI was established in 1824 and, according to the charity organization, saved more than 140,000 lives at sea. The charity organization operates in the United Kingdom and Ireland.